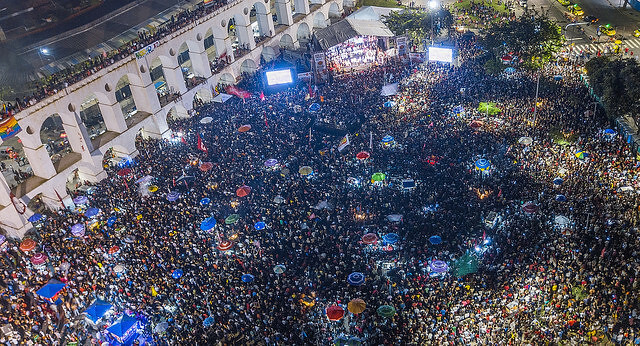 “While Bolsonaro’s victory was supposed to be ‘certain,’ today it is just ‘likely,’ tomorrow it will be ‘possible,’ and on Sunday he will find out he lost,” Brazil’s Workers’ Party candidate Fernando Haddad told 20,000 supporters during a rally in São Paulo Wednesday night, about his far-right adversary in the country’s runoff presidential election, Jair Bolsonaro. Gathering artists, intellectuals, and activists with social and cultural movements, the atmosphere was optimistic, as the crowd cheered the left-wing presidential hopeful and other supporters who spoke in defense of democracy. 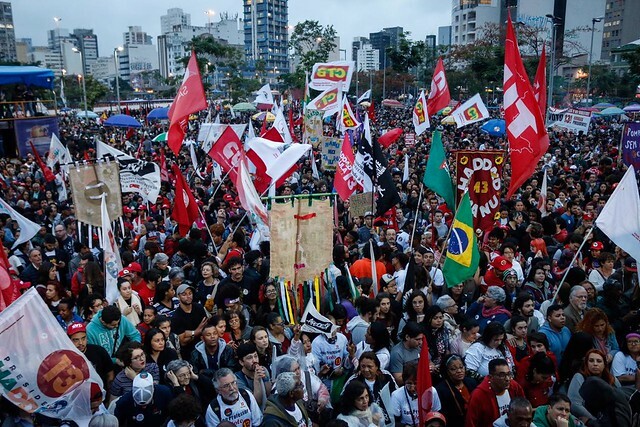 In Rio, approximately 70,000 supporters also took to the streets last Tuesday to support Haddad and his vice presidential running mate, Manuela D’Ávila, as well as representatives of all the parties and people’s movements that are members of the Front for Democracy in Rio de Janeiro State. The great event against authoritarianism and in defense of rights was also attended by celebrated artists such as rapper Mano Brown, writer Conceição Evaristo, and musicians Chico Buarque and Caetano Veloso. In São Paulo, Haddad downplayed the reaction of financial markets to recent opinion polls. “Every time Paulo Guedes’ candidate drops, stock markets drop too. Because, if they win, they will sell everything. And they know that, if we win, we will not sell our pre-salt oil fields, we will not sell the Amazon, we will not make war against neighboring countries. We promote peace and democracy in the continent,” the Workers’ Party candidate said. The latest opinion poll by pollster Ibope, released on Tuesday, showed the gap between Bolsonaro and Haddad closed by four percentage points since Oct. 15.